PAX East in Boston is one of the biggest gaming events in the world, and consistently showcases some of the raddest things coming to the world of gaming – whether it’s AAA titles, indie gems, VR, or tabletop. And fortunately for us, 2019 was more of the same, as PAX East delivered yet another incredible show. Penny Arcade’s PAX shows have, since their inception, been called a “festival” for a reason – because it’s more than just a place to share news on upcoming games or a place for business-to-business meeting, and instead they are just as interested in creating really awesome memories for the people attending. Now, you will find the same things you expect from most large gaming events: new game reveals, panels, exhibition halls, cosplayers, and more, but PAX always leans into the experience side of things too, featuring massive tabletop gaming areas, console and PC free play areas, and so much more, that is all focused on bringing people together to hang out and share in the joy that is gaming with friends. This year’s PAX East was an exciting one – filled with both bombshell gaming announcements and under-the-radar indie gaming gems. And, as I am want to do, here I am talking about my favorite moments from this year’s PAX East in Boston. Give it a look! 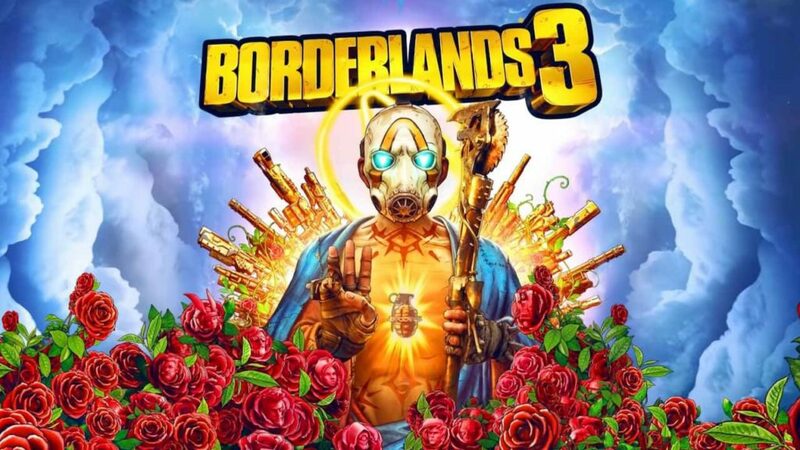 Borderlands 3 – Well we can go ahead and get the big ticket out of the way first! There was SO much hype around Borderlands 3 going into this year’s PAX thanks to the teases that developer Gearbox Software was dishing out in the days and weeks leading up. The assumption was it was all leading to a big reveal for the long-awaited B3, and gaming fans were not disappointed. We got an epic announcement trailer filled with everything you would expect from a Borderlands game: explosions, awesome characters, an amazing and unique art style, and guns… Lots of guns! In fact, they’ve stuck with their iconic trademark yet again stating there will literally be billions of guns you can use. The game looks tremendous, and it’s one that I’ve been waiting for many years for. We’ve since had some additional leaks outlining what we can expect from the four vault hunters we can play at launch, along with a release date of September 13th – just one day before my birthday, so if you’re looking for the perfect gift to give me this year, I think I may have found it! Cyber Shadow – If you’re a fan of 8-bit indie games, Metroid, Mega Man, robotic ninjas, or any combination of those things, well I’ve got good news: Cyber Shadow from Mechanical Head Studios and Yacht Club Games is definitely for you! A game that has been long-developed by essentially one brilliant guy, Aarne Hunziker from Mechanical Head, is an incredible homage to everything gamers love about the super difficult side-scrolling platformers of yesteryear. This ninja action game will have us upgrading our various weapons and skills in a very Super Metroid fashion as we dash around slicing and dicing our way through beautifully designed levels and intense and difficult enemy encounters – oh, and the music is AWESOME. It appears that there’s no official release date just yet, but we do know it’ll cost 15 bucks, and I can tell you that’s 15 buckarinos I’m going to happily spend in Cyber Shadow. Katana Zero – Stylish retro throwbacks where you dash around with badass weapons in sidescrolling nostalgic splendor seem to be on the rise, as Cyber Shadow wasn’t the only badass indie Metroidvania that caught my eye at PAX this year. 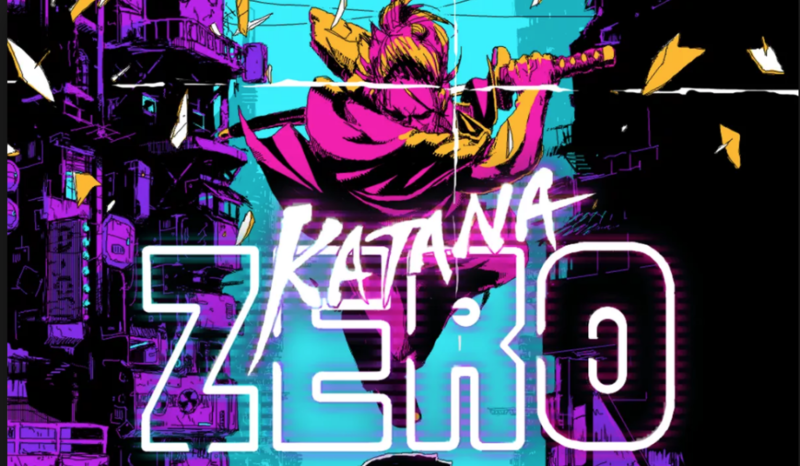 On April 18th we’ll be able to get our hands on Katana Zero, a beautiful, and brutal, retro action game from developer Askiisoft and publisher Devolver Digital. But, unlike many other gamers in this genre of hyper challenging retro throwback games, it appears that Katana Zero will also have quite a focus on building an interesting, and thrilling, narrative in the midst of its frenetic gameplay – with player choice and branching dialogue options that will, I assume, change the course of the game and make for some exciting replayability – so long as you’re willing to brave the intense challenge more than once. I’ve been hankering for a game similar to my favorite game of 2018, Dead Cells, and it looks like Cyber Shadow and Katana Zero will be scratching that itch for me, and then some! 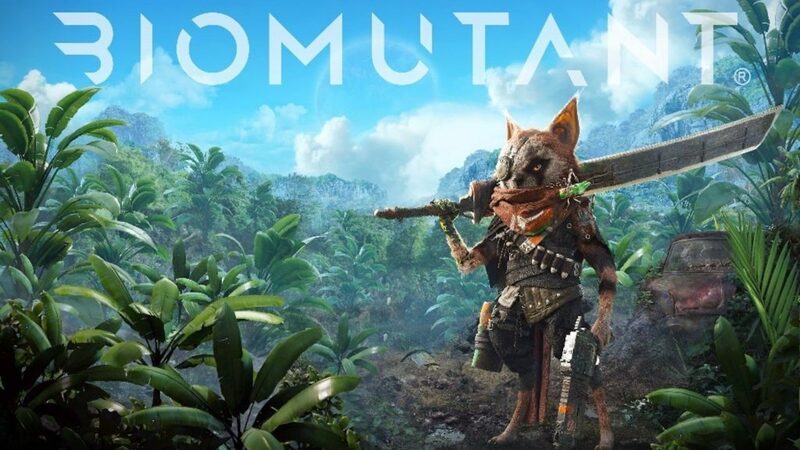 Biomutant – I’ve always had a video game power fantasy of being a badass Rocket Raccoon looking guy with gadgets and gizmos a-plenty. Okay, that might not be exactly true, but after seeing more of THQ Nordic’s Biomutant at PAX this year, I feel like being a genetically mutated and ever-evolving woodland creature using crazy weapons and kung-fu skills seems cooler than ever. This wacky action adventure RPG will have us using crazy over-the-top weapons and equipment to take on a myriad of intense enemies, but we’ll be doing more than just tweaking our weapon and equipment loadouts, as we will also be actually re-coding our DNA to make our character change and adapt to better take on the challenge the game will throw your way. These DNA changes not only impact on combat effectiveness, but it also has some cosmetic changes too (strength focused characters, for example, will appear bigger, stronger, more powerful, etc), meaning you have a lot of control over not only how the game plays, but how you look doing it. No official release date is set yet, but we do know that we will be mutating our way to victory by the end of 2019! Divinity Fallen Heroes – There are few games I’ve played in the last 10 years or so that I’ve fallen in love with the same way I have with Divinity: Original Sin, and it’s sequel Divinity: Original Sin 2. The world that Larian Studios created in both of those games was one that I’ve gone back to again and again (and I’m actually in the midst of yet another playthrough of the sequel, because I love these games so damn much), and the gameplay and character options are so numerous that you really can have unique and interesting approaches to basically every single possible encounter you come across, both in combat and outside of it. 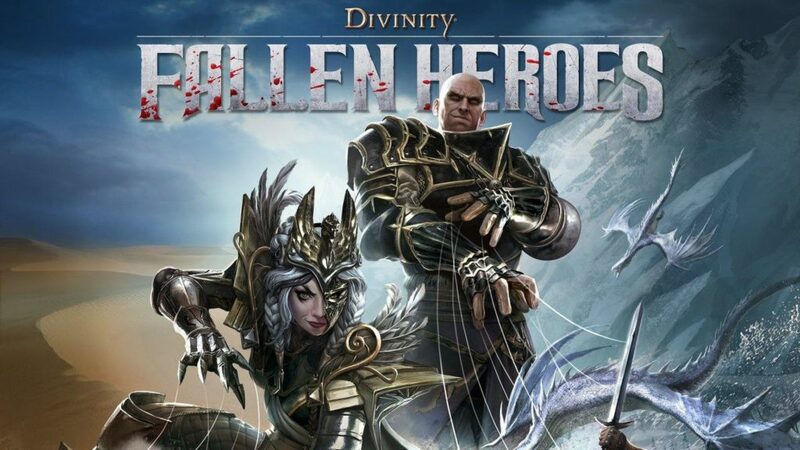 And while I am stoked for the future of this series, I honestly didn’t expect Larian to crank out another game in the Divinity universe so soon, but then they came out of left field at PAX with Divinity: Fallen Heroes, which is very much like a beautiful cross between XCOM and the Original Sin series. The game is set two years after Original Sin 2 finished, and while it’s set in the same world with many familiar faces, this is a game that is much more focused on the combat and missions you can take part in, as opposed to a massive open world you’re going to be running around exploring (or, in my case, towns you’re ransacking and salesmen you’re stealing from!). Not a whole lot more is known at the moment, but I have to say, I’m bought in 1,000% on anything and everything Larian does, so this is a day one purchase for me and I absolutely CANNOT wait to play it. And there you have it! 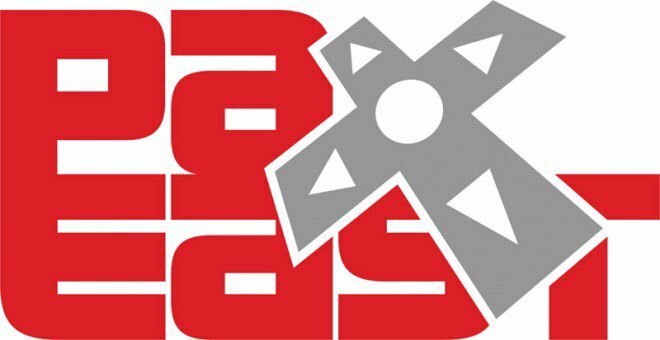 Were there any games you saw from PAX East this year that stood out to you? If so, let us know on social! And if you’re in the mood for some sweet, sweet gaming loot, then look no further than April’s SURVIVE Loot Gaming crate, including items from The Last of Us, Horizon Zero Dawn, Bioshock, and more! Next article GIF Crate: It's Time To Get Pac-Man Fever!